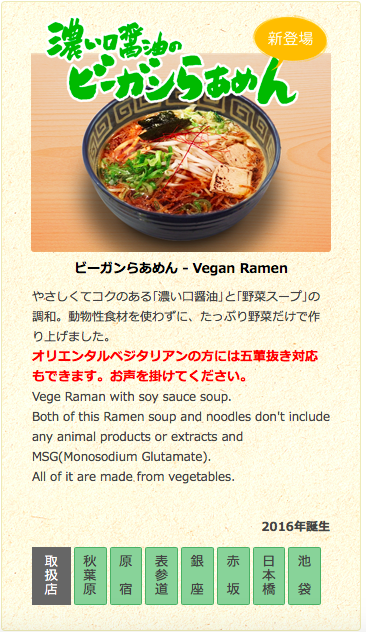 Kyushu Jangara is a Ramen shop which serves a vegan option (1000Yen). The Ramen had a nice and strong taste and I would definitely recommend it. As it's not all vegan it's especially recommendable if you want to eat out together with someone who likes to eat meat.